I'm not the biggest fan of layering 100 products underneath my foundation because if something goes horribly wrong you just don't know what caused it. I was looking for something special to make my makeup look more flawless and protect my skin during the harsh weather since I live by the sea and the wind kills me every morning. The Vitamin C Skin Reviver is a little gem I found extremely helpful and surprisingly GREAT. 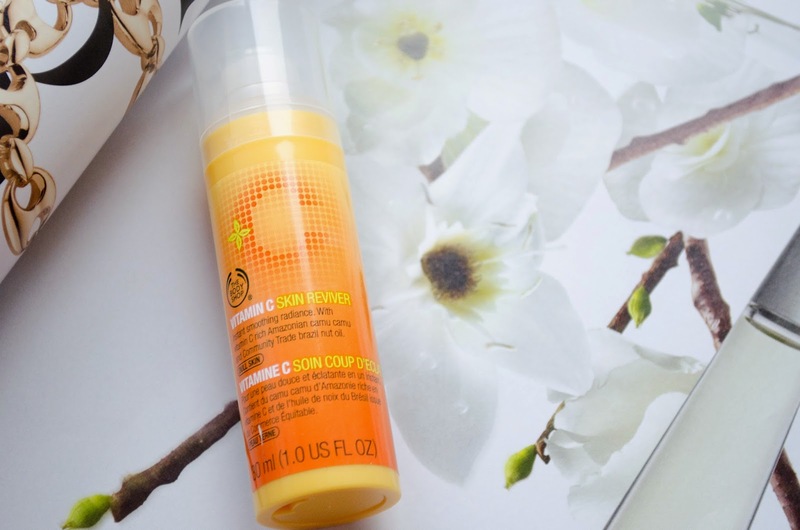 Now, I do have a thing for The Body Shop - always have - but finding a primer that would bring natural radiance to my skin hasn't exactly been my type thing since I always enjoyed a matte look. I guess it was time for a little change and I wanted to get my hands on something that wasn't going to leave me looking like a disco ball. This product contains light reflecting particles and leaves the skin with a super smooth finish, a little like a proper pore-perfecting primer. I end up wearing it with no make up at all when I have to run some errands and it reduces the appearance of my pores significantly. When I put makeup on top the finish is just...porcelain-doll like! I love it! It's worth mentioning that it doesn't let the layer of makeup slip off or stain your clothes, especially if you have some heavy-duty foundation on. It retails for £15 and even though some may think the price is a little steep for a 30ml bottle, you do need the tiniest amount. It's also one of the top rated products on The Body Shop online - honestly, don't know how I managed to miss it until now. Have you ever tried it and what are your favourite skincare products lately? Sounds like a fantastic little product, especially for this time of year. My skin gets so dry. I haven't really got anything special i am using at the moment as I'm trying to use up all my products (I have so many) £15 isn't to bad, and if it works then you don't mind. Sounds like a brilliant product! Great review girl, definitely going to give this a go! This sounds great, going to have to give it ago. I haven't had my Vitamin C vitamins in a while but whenever I do use it it just makes me feel and look so much better! I'm currently using a Vitamin C serum an the effects are just amazing! I'll have to give this a try. 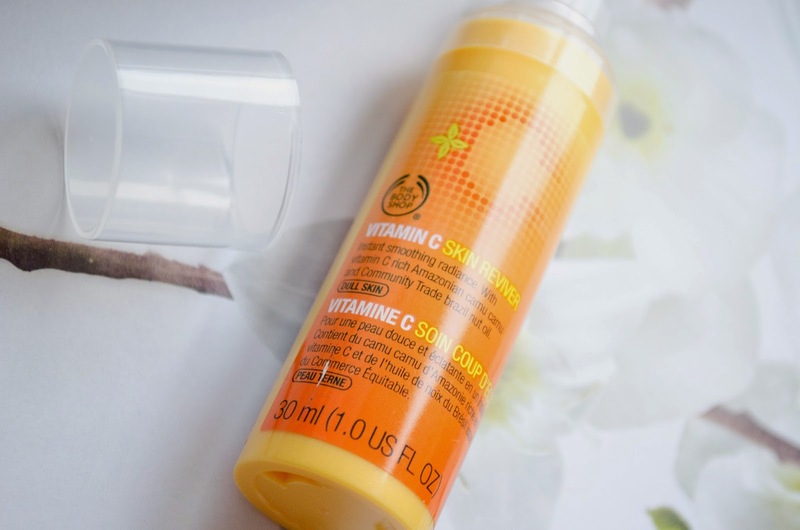 Vitamin C products are good for so many reasons, but great for brightening up your skin! This sounds pretty good, though I am not too much of a fan of Bodyshop products, there is something about the smell!